What are effective ways to remove bias from promotions and salary increases? 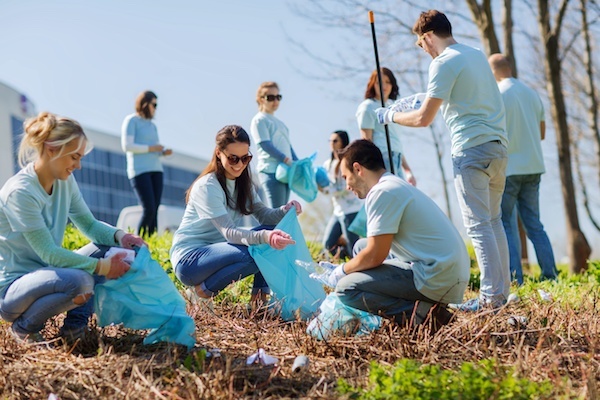 Have you ever admitted that you didn’t like one of your company values? Should we allow nerf guns in the workplace? If these are questions you've asked yourself in the past, we have a place for you to get answers today. Join the conversation with People Geeks around the world at answers.peoplegeeks.com. 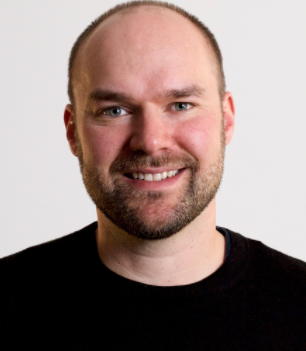 Who is the People Geek Community? A People Geek is someone who is dedicated to enabling people and passionate about the power of employee feedback. 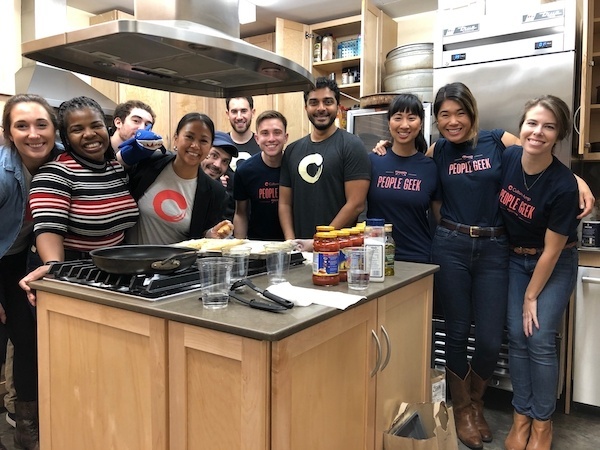 People Geeks can work in People Ops, Recruitment, HR, or as CEOs at fast-growing companies. It’s not about the title, it’s about the spirit. 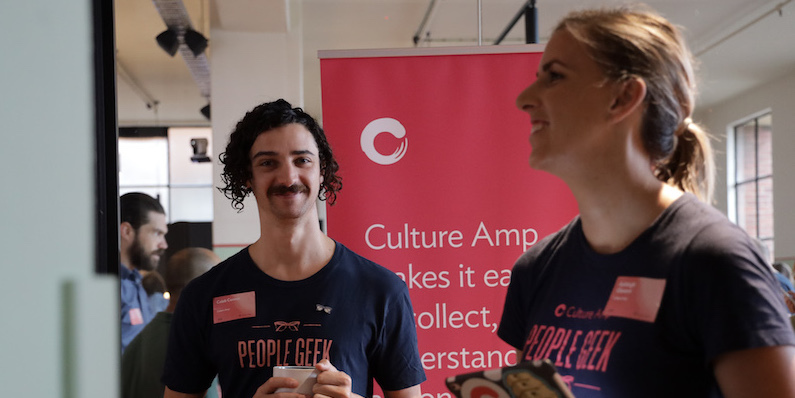 We’ve been celebrating our People Geekiness since 2012 at Culture Amp through in-person events, webinars, our beloved newsletter and blog, and we’re excited to be introducing the People Geek Answers forum as a way to keep our community connected. 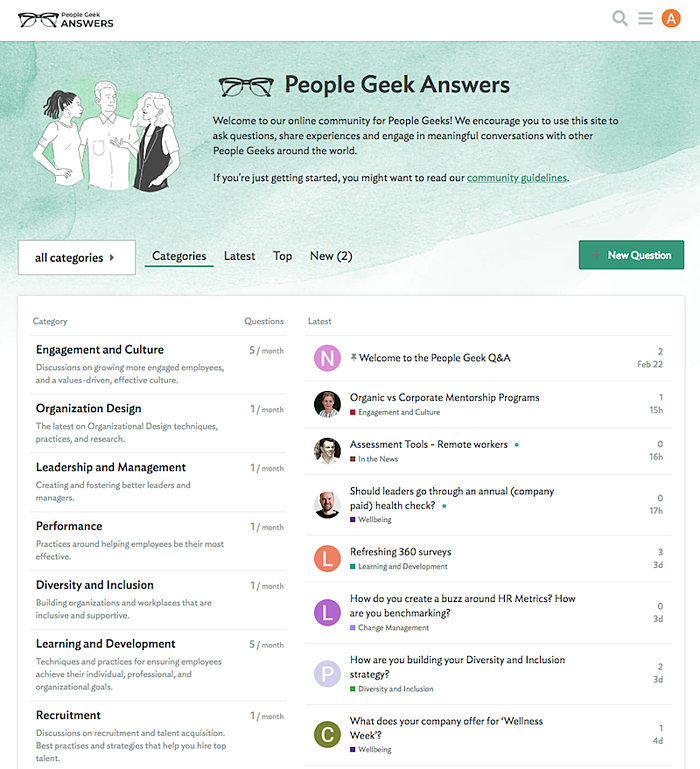 We built People Geek Answers as a place to facilitate ongoing learning for our People Geek community. It’s an online forum to ask compelling people and culture questions and join the conversation across a wide variety of topics in the HR space. Topics include organization design, learning and development, wellbeing, performance management, diversity and inclusion and change management. As our community grows, People Geek Answers will grow with it. Our forum makes it easy to search for answers, ask a question, and join the conversation on any of these topics. Once you login, you can search by keyword or filter on specific categories for topics aligned to your interest or just peruse the latest conversations or top posts and upvote your favorites. To post a question to your fellow people geeks, simply click the “New Question” button at the top. To join a conversation, click ‘reply’ and share your experience. Become a recognized People Geek! The more involved you get, the more badges you will earn. Start by logging in to earn the People Geek badge. Then become a Contributing People Geek by asking a question, joining a conversation and upvoting someone else’s response. There are a number of other badges you can earn like, enthusiast (visit 10 days in a row), nice answer (received 10 likes on an answer) and more. People Geek Answers is for our community to learn and grow. We encourage you to join and share your experience for the benefit of all.